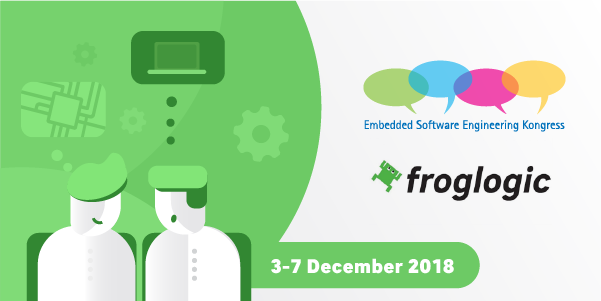 froglogic, the vendor of the automated GUI Testing Tool Squish and Code Coverage Analysis Tool Coco, will exhibit at this year’s Embedded Software Engineering Kongress in Sindelfingen, Germany this December 3rd – 7th. Learn how other leading Automotive, Medical, Transportation, Industrial, Consumer Devices, and Household Appliances companies leverage different Squish editions, including Squish for Qt, and Squish Coco to automate the functional regression and system testing of their embedded HMIs and connected devices. froglogic will present and demo advanced features of its test automation and code coverage products on embedded targets, including Embedded SDK & Support packages, support for cloud-connected companion apps, end-to-end test automation, Qt In-Vehicle Infotainment module, and Functional Mock-up Interfaces (FMIs). Attendees can find froglogic at table 42 of the congress center’s foyer.